This bright 2-storey apartment adjoining Ashaig House is set in the quiet township of Breakish. 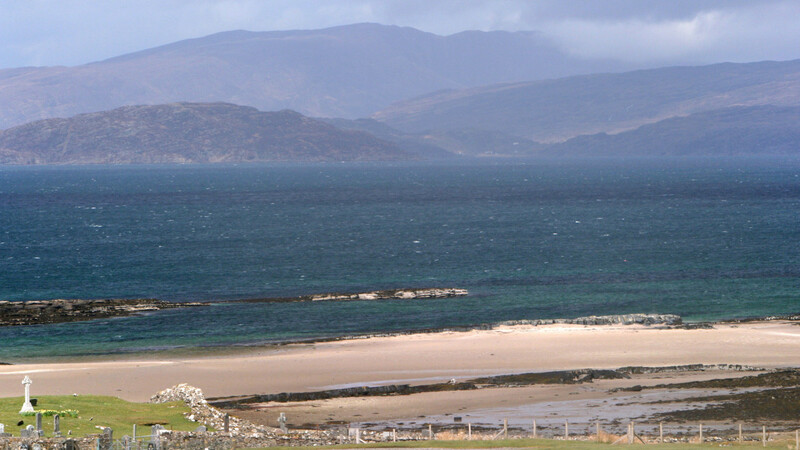 Only 5 mins drive beyond the Skye Bridge, It overlooks a sandy beach and offers stunning sea vistas towards Raasay, the Cullin mountains and Torridon mountains. 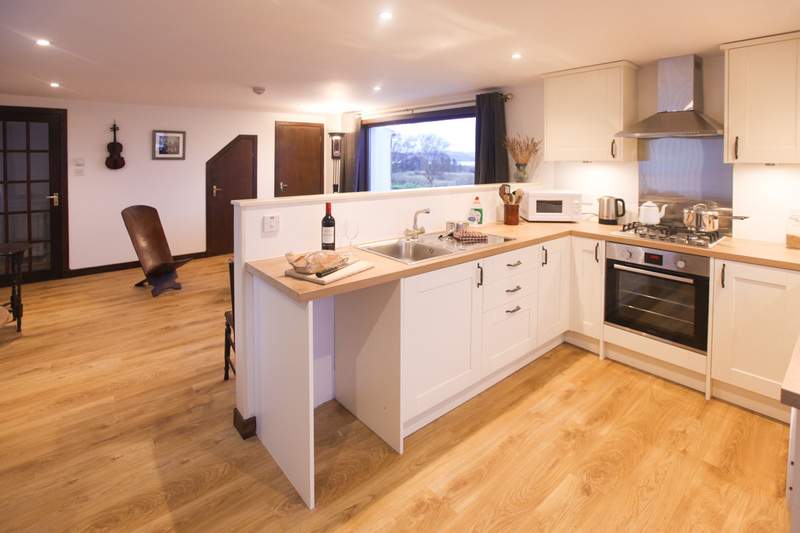 We offer 1-week stays (Saturday – Saturday) in June, July, August. Shorter 3-night stays are possible during other months. 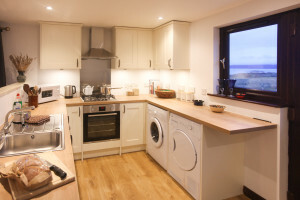 The newly installed kitchen is bright and spacious, with dishwasher, washer, drier and gas hob. The kitchen is open-plan to a very spacious lounge with a dining area, and features a large window offering panoramic sea views. The apartment is heated by gas central heating. Upstairs, from the comfort of the double bed, are unparalleled views of the beach, plus mountains & islands beyond. A folded Z-bed could provide accommodation for 1 extra person. The adjacent bathroom features a bath & shower. 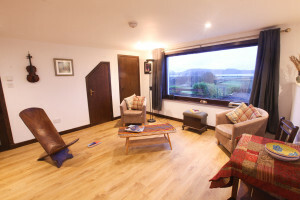 There is space in front of the apartment for sitting out and taking in the sea & mountain views. 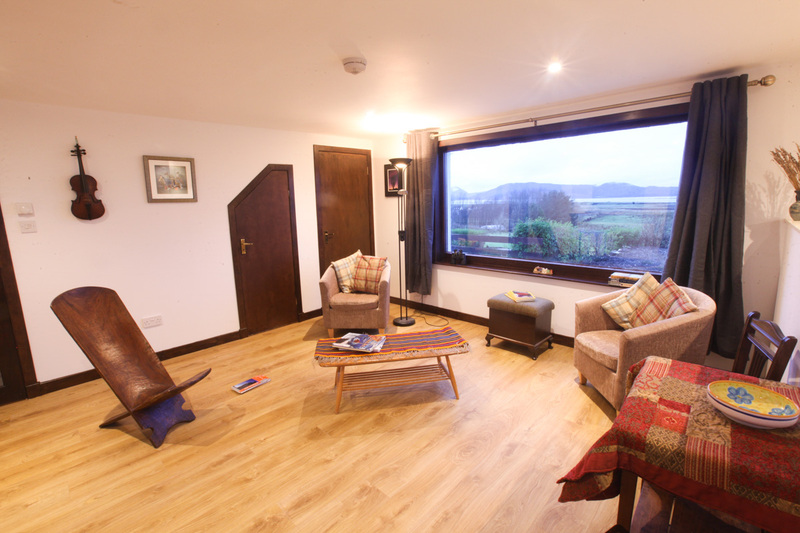 The Lookout is fully separated from Ashaig House self-catering, having its own access, parking & driveway. 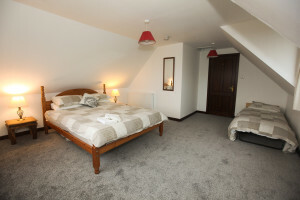 email info@holidayinskye.com UK telephone 07801 748840.